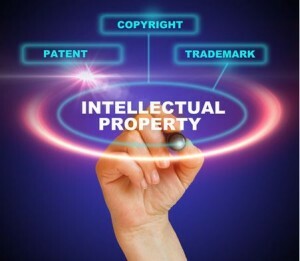 Selling Intellectual Property: What Qualifies and What's Involved? | Wilson Auction & Realty Co, Ltd. Selling Intellectual Property: What Qualifies and What’s Involved? If you’re talking about intellectual property, you’re talking about ideas, thoughts and concepts – something that isn’t physical, but instead that exists in the mind. Since intellectual property isn’t exactly tangible, it can be tricky to understand the laws that protect it, and it can be even more complicated to figure out how to make money by selling your intellectual property. But don’t worry: people sell their ideas every single day, and at Wilson Auction & Realty, we’re experts in this type of exchange. The team at Wilson Auction & Realty works with each of our customers to sell intellectual property to the highest bidder through specially designed auctions. When you have an idea or concept that you think is really worth something, but you’re unable to grow your business or are looking to retire and pass the rights to another person or entity, what are your options? Well, the best thing for you to do may be to sell the idea to an individual or company that is capable of bringing the idea to fruition. The best way to sell intellectual property is to first come to an expert. If you already have a registered trademark, copyright or patent, your the idea is legally and bindingly yours, meaning that you can exchange it as you wish. If you haven’t already registered, Legal Zoom notes that you’ll need a patent to indicate that you, the inventor, have the sole right to create, use and sell your idea. With a secured legal intellectual property in hand, you can them go about selling the trademark, copyright or patent to a third party. At Wilson Auction & Realty, we believe the best way to make sure you get as much money as possible for your idea is to hold an auction. We know that it can be difficult to show the appeal of an intangible item like intellectual property, but we’ve worked with many clients to identify the value of their asset and market an auction to interested parties, industry leaders and business experts. This helps drive up the interest and, ultimately, the price your intellectual property will achieve at the auction market. If you think this process is right for you, let the team at Wilson Auction & Realty help plan your auction. To learn more about intellectual property auctions or to discuss your situation with a member of our team, give us a call today at 419-636-5500.